Those who haven’t heard of My Beauty Diary Mask, it is a Taiwanese brand and have so many positives from not only bloggers but from a Taiwanese show. There are a lot of mask flavours, each having their own skin properties. 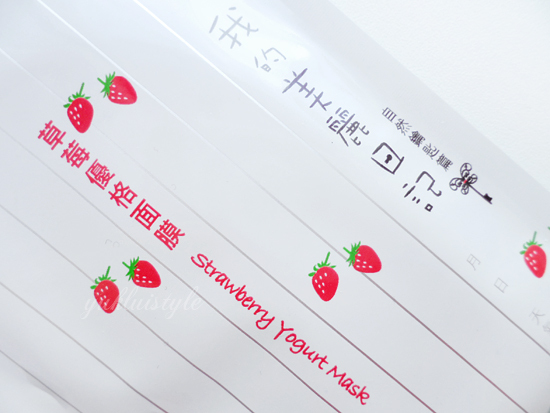 This strawberry and yogurt mask is aimed at the oily skin people having sebium control and regulation, refining pores, even skin tone properties. This smells absolutely gorgeous and actually like strawberry yoghurt. I want to eat it up. The mask sheet is, which I assume, is based on the average face proportion. I unfortunately do not fit this therefore it is big, more like longer. I would have to fold the upper lip as it overlaps onto my lips. The mask is so refreshing once applied emitting a cool feeling, containing a lot of serum. A lot meaning the mask sheet is drenched in the serum. The mask sheet is thick enough so it wouldn’t rip. After the 30 minutes is up, there is excess serum on my face and sheet which I can use for my neck. I have to massage it into the skin and it takes less than a minute to sink into the skin. I haven’t seen dramatic results in terms of sebum control and pore refining. My face still produces oil at the normal rate it naturally does which is usually a few hours after. I wouldn’t slate this completely. I believe that this helps properly close my pores after cleansing and hasn’t broken me out. Haven’t seen a difference in evening out my skin tone. This might still be early days for me as I’ve only tried it for a good month. It did leave my skin glowing and feeling a lot softer than usual. I would still continue to use this as well as branching out to other flavours available. Have you tried any My Beauty Diary Mask? sounds delicious, maybe i'll give this one a shot. i really love how serum can make skin glowing healthily. 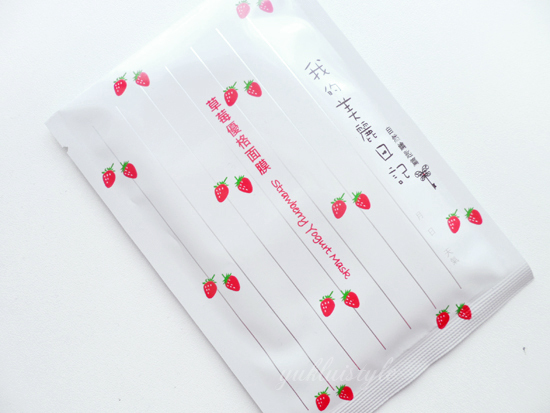 The My Beauty Diary Masks are really great I really love it dear,thanks for your review very detailed. I love sheet masks, does this have any hyaluronic acid in it? Hmm, never ordered from Sasa online before; how do you find the delivery times/costs? Worth it or should I just wait for my next HK trip? I think I'd probably pick this up for the adorable packaging/smell alone. It's so cheap that I wouldn't be too bothered if it didn't do much for my skin long term! This mask sounds really nice! good review. 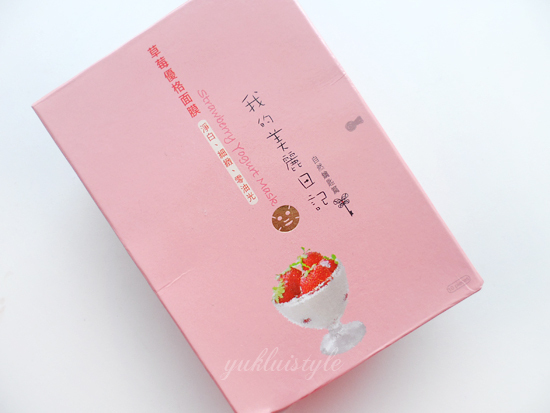 I love strawberries and peaches:D what are the other mask flavours available and where can i possibly buy this ? I guess different flavors comes with different effect? This mask looks great! love the smell of strawberries.